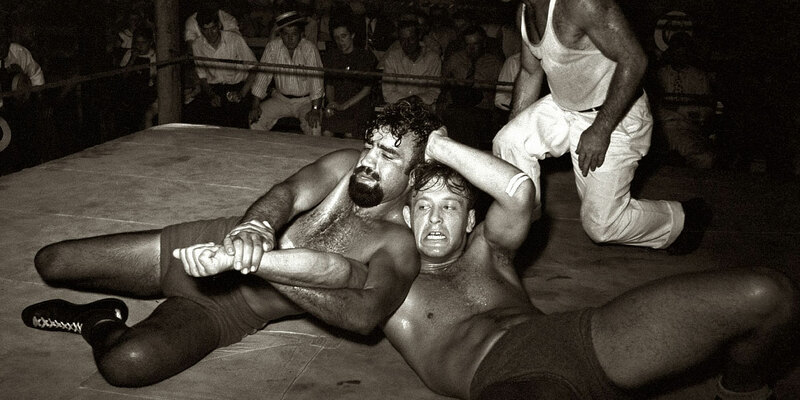 Catch Wrestling, Name Mangling, and More! Meet coach and competitive catch wrestler Kris Iatskevich and get a free facelock. So put on your singlet (leopard skin preferred) and give us a listen! "We were real Wrestlers – We just weren’t Wrestling for real." Help Craig Out! Send us your news to News@HiyaaPodcast.com! I’ve been seeing catch wrestling showing up in WMA circles as a way to develop the wrestling skills presented in historic European fight manuals. I’ve recently been talking with an acquaintance who’s really into catch wrestling about teaching some introductory lessons to a WMA sword group I practice with. This was a great interview with some very cool information. Thanks for another amazing show. That’s pretty awesome. Many thanks for the comment – we had a helluva time as well!